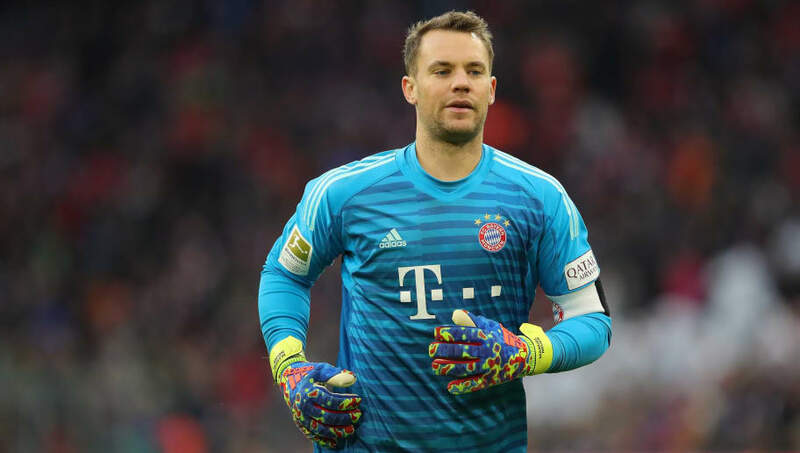 Bayern Munich goalkeeper ​Manuel Neuer is confident of returning from injury in time to face Liverpool in their Champions League round-of-16 tie at Anfield next week. The Germany international has missed his side's last three matches with a thumb injury, and has been forced to train without using his hands in the last couple of weeks - something less than ideal for a goalkeeper. His stand-in, Sven Ulreich, has conceded four goals during Neuer's absence, and Bayern fans will be eager to see their number one back in action as soon as possible. Speaking to ESPN, Neuer was optimistic about his chances of recovering in time to face Liverpool, saying: "I am fine, it's (the injury) not that bad. I think our medical (staff) will push me into goal and if everything is fine in training, I will play (against ​Liverpool). We are all positive. I think I will be between the sticks. "It's the first game for me at Anfield. I'm looking forward to playing there. We have heard a lot about the atmosphere in the stadium - everyone who watches football knows it's special - and I think they will be two great games. For us (​​Bayern Munich), the Champions League is very important. It is a knockout tie, two finals. We are happy to play in their stadium. In similar circumstances to ​Serie A serial winners Juventus, Bayern have won the last six domestic titles on the trot, but haven't lifted the Champions League since 2013. Niko Kovač's side also appear to be one on the decline, and will need to raise their game if they're to get past Jürgen Klopp's rampant Liverpool team. Bayern kept their title winning hopes alive last weekend, as they ​triumphed 3-1 over Schalke. A Jeffrey Bruma own goal gave the hosts the lead early on, but they were stunned by Ahmed Kutucu's equaliser. However, Kovać's side regained the lead just two minutes later thanks to Robert Lewandowski, and Serge Gnabry secured the win midway through the second half.